Welcome home to 1602 Mendocino Lane! 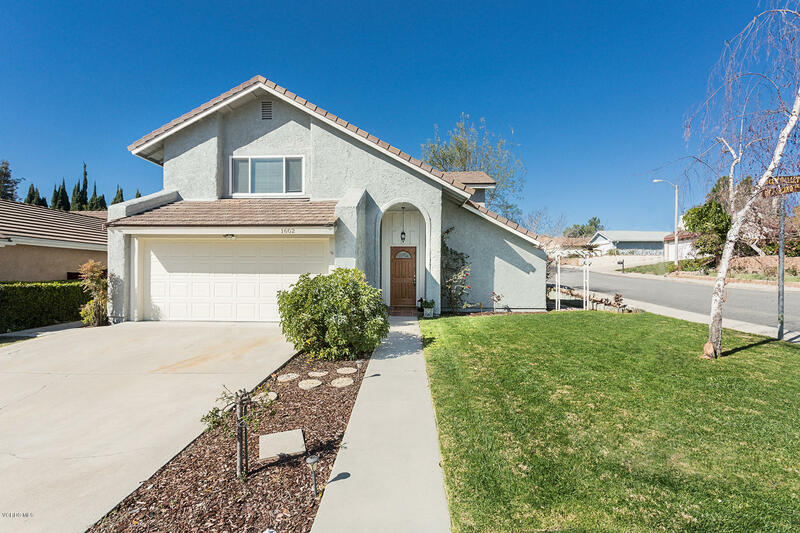 This beautiful move-in ready 2 story, 4 bedroom/2.5 bath home sits on a spacious, quiet corner lot. You will LOVE the kitchen - it has Silestone countertops, white cabinets, and stainless steel appliances. This home also features vaulted ceilings, a formal dining room, cozy family room, living room, and a dramatic fireplace. 4 bedrooms? Yes! Great master suite with mountain views and 3 nice sized additional bedrooms. Other features include an awesome multi-room sound system, surround sound in family room, brand new AC system with Nest thermostat, newer water heater, central vacuum, newer Tex Coat exterior paint, ceiling fans in all bedrooms, dual pane windows, crown molding, and a Ring doorbell. The grassy backyard has several fruit trees and a large covered patio that's perfect for entertaining family and friends. Convenient freeway access and close to shopping, dining, and schools. This is a great home at a great price!